Hot Fudge Sauce doesn’t get any easier that this! You can easily double the recipe if you like. 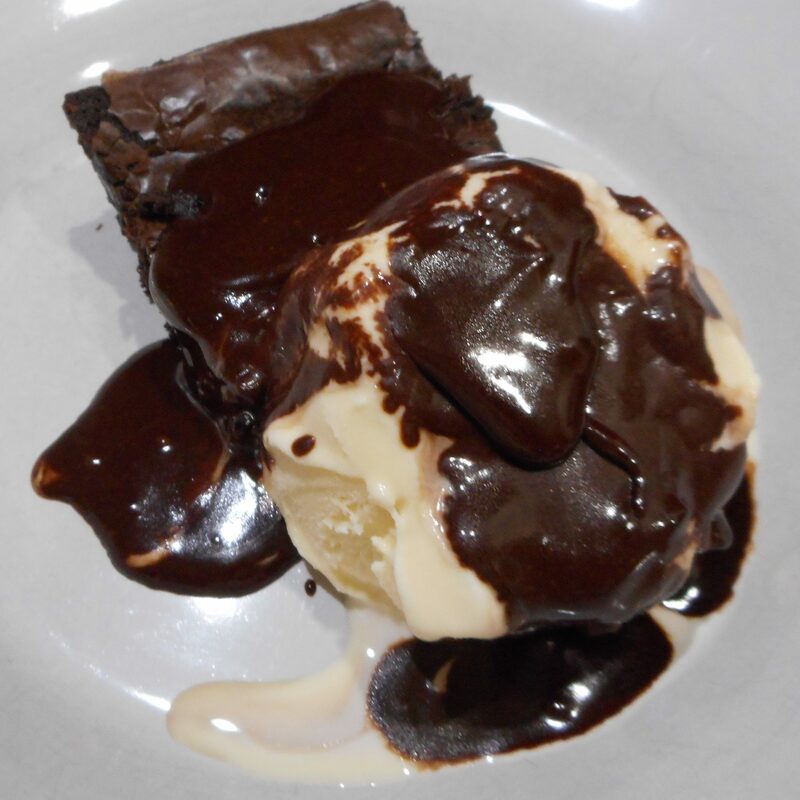 Try it dolloped over a scoop of vanilla ice cream atop a brownie for a Hot Fudge Brownie Sunday. 1. In a medium saucepan, gently whisk together the cocoa powder and sugar. Whisk in the cream, then turn the heat to medium and whisk it as it warms up. When the mixture starts to heat up, add the butter and stir it in to melt. Then when the mixture is nice and hot, add the vanilla and stir it to combine. Let the sauce cool in the pan for 5 minutes, then transfer it to a mason jar. Store it in the fridge (it will become solid as it cools). 2. To serve, scoop out the amount you need and place it in a microwave-safe bowl. Heat it for 20 seconds, then stir and heat for another 10 or until the sauce is warm.